I often greet invitations to vineyard and farm dinners with an exaggerated eye roll. I wonder, do I actually know any twenty-somethings that can afford the hefty price tags of these scenic get-togethers? Perhaps my biggest question was, are they really worth it? 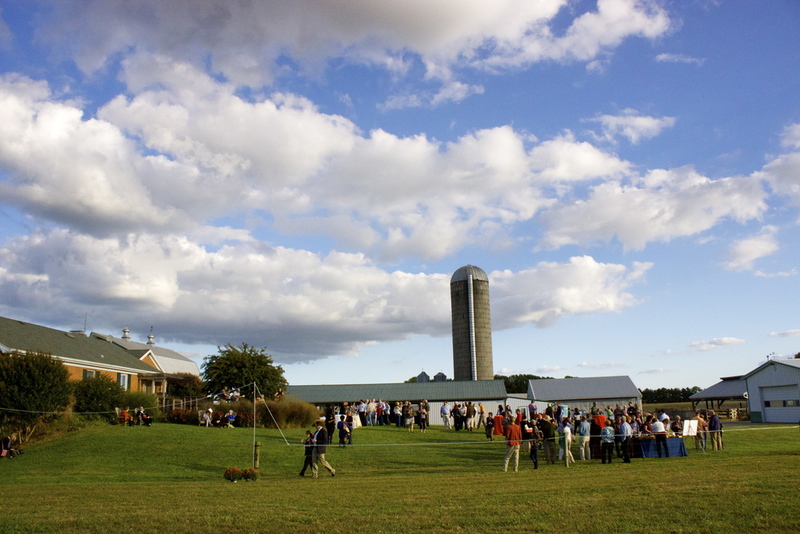 Recently, I had the opportunity to find out what exactly these price tags entail when the Mid-Atlantic Dairy Association invited myself and other food writers to St. Brigid’s Farm’s Annual Field to Fork dinner. I understood this to be not just a dining or networking event, but an educational field trip. Too few of us have any real connection to the land we live on, let alone where our food comes from. You hear countless cliches in this vein, primarily that kids think that all food comes from the store. Even those of us with family and culture rooted in farms are more detached than we should be, myself included. In Sierra Leone, my mother’s parents are poultry farmers. Their home in Lebanon resides amidst olive and fig trees, and as you enter their driveway, you’re immediately greeted by a cow. Yet I’ve never felt any real connection to farming culture. 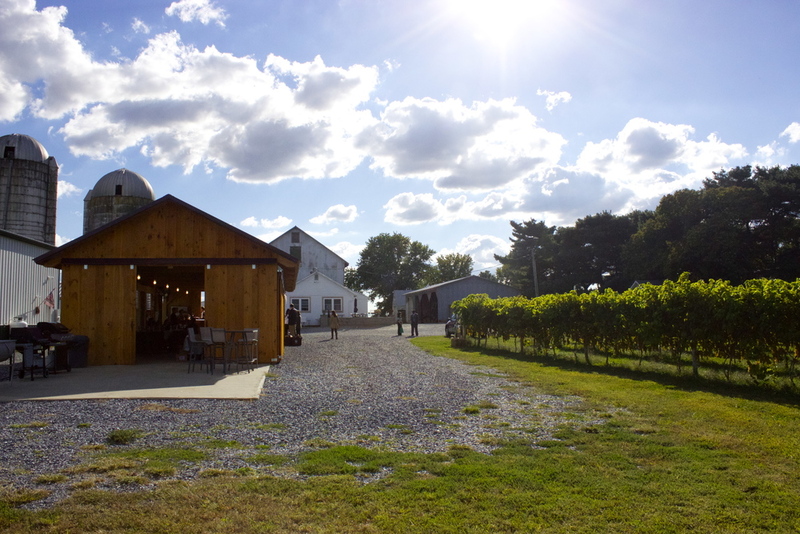 After a two-hour drive, the day officially began with a tour and wine reception at neighboring Crow Farm and Vineyard. 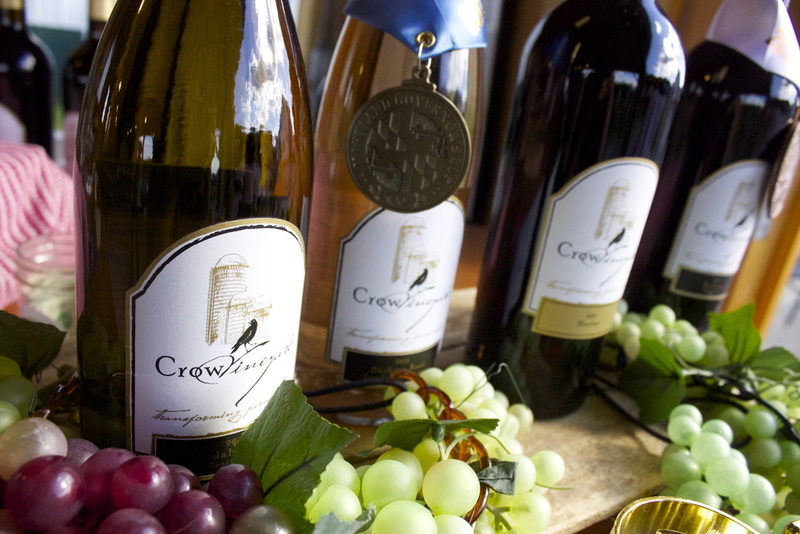 With award-winning bottles on display in the former hay barn, the Crow family told us the story of how their farm planted vines in 2010 and more about the challenges and advantages of being a family-owned and local operation. To tie the vineyard tour to the dairy farm just across the road (which actually means a two minute drive when you’re in Eastern Shore), we learned more about the cheese-making and aging process as well as wine pairing from a Cabot representative surprisingly void of the brand’s new signature plaid statements. The atmosphere was completely different once we arrived at St. Brigid’s. Named for the patron saint of dairy maids, the 62-acre farm has grown from a family of 69 Jersey heifers in 1996 to over 200 cows (milking cows, replacement heifers, steers and veal calves) today. What makes St. Brigid’s remarkable is the dream team of Judy Gifford, the dairy maid, and Robert Fry, the farm scholar. Together they have created an ideal environment for producing some of the best beef and dairy products in the region. We grazed in the same atmostphere as the cows– out on the pasture. Since the Field to Fork dinner is an annual event, it was easy for Rob and Judy to clear a small portion of the pasture for 45 days in order to create the perfect dining atmosphere. Upon seeing the seemingly endless dinner table outfitted for 150 guests, I couldn’t help but think, “this must be where Pinterest boards come from.” With plant arrangements in a mismatched array of milk jars and the cows grazing just yards away, I was starting to understand the allure of these dinners. But what really made me happy about my decision to come was the company. 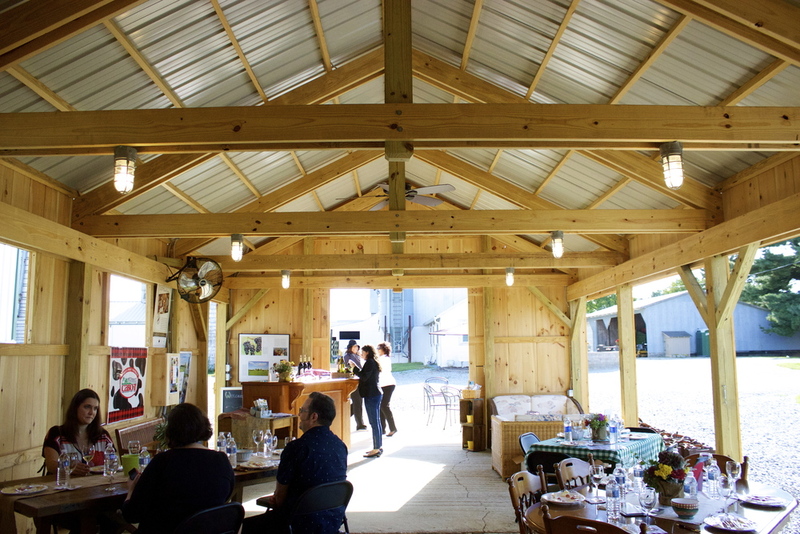 Guests from various local agricultural boards, fellow farmers, and those who had nothing to do with the world of food congregated at first around even more local wines and cheeses with a soundtrack provided by a fantastic bluegrass band. American families spend a lower percentage of their income on food than any other country in the world– half as much as France. By that logic, it’s understandable that we don’t have nearly enough conversations about what we eat and where it comes from; or, if we do, we’re talking about fad diets and food trends. And that also explains why even our “healthy” foods are not as whole as we believe them to be. It was a delight to be conversing with some of the smartest people in farming and agriculture in the Mid-Atlantic. These are the people who dedicate their lives to creating perfect cultivating situations, to growing the tastiest mushroom, and to doing it independently to standards higher than the FDA’s board-controlled ones. Woes of the impending shutdown (this was during the last weekend of September) and nonsensical gossip were set aside to celebrate farm culture and to have real discussions on how to change the conversation about food that Americans are having. The dinner itself was easily the best thing I have eaten in 2013. Beef and dairy products from St. Brigid’s were expertly transformed into the perfect dishes for a chilly fall evening by fantastic chefs and caterers, served with more Crow wine and fantastic local vegetables. But once again, it was the company that stole the show. Throughout the dinner, I learned more about the people seated next to me– one guest’s family used to own the farm, and her father was born on it. I also learned that a large part of the $125 Field to Fork price tag was donated to a different charity every year, and 2013′s recipient of the net proceeds was the Capital Area Food Bank. And there was a lot to learn from a full table– the dinner was sold out, and would have still sold out without the presence of media. So the verdict is this: everyone should go to a Farm to Table dinner at least once in their lives, for many reasons. As much as we may argue, humans are visual creatures, and while we’ve heard countless times and ways that eating local is important, it isn’t quite appreciated until you are standing on the land where your dinner is coming from. Our kids need to learn the difference between food and food products. Their parents need to learn that while they might be saving money by relying on food products more than real food, the health costs they’ll incur later in life will carry a much higher price. But most importantly, people should treat Farm to Table dinners as an educational experience, almost as a single session class on agriculture. Meeting the farmers, walking the land, and of course dining in excellent company cannot be replaced by reading articles online and buying Odwalla juice. Spending the extra money is worth it; we as Americans are worth it. Most of us just don’t realize it yet.